Color: Solid Color, Stripe Color. 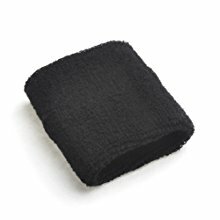 * This nice wrist sweat band can effectively stop sweat running down your hand and improve your performance in sports and games. * Perfect in all kinds of sports activities like basketball, football, tennis, soccer, jogging and so on. Double layer is designed to hold sweat effectively, to help you feel good when doing sports. 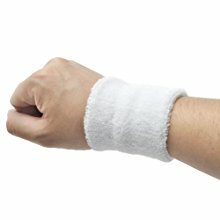 Comfortable to wear and be of durability, it would work for a long term. 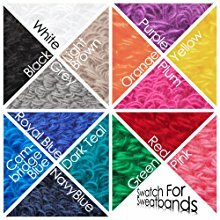 20+ beautiful colors for your choices. What's more, the color stays bright after times of washing. Exactly what I needed for my Todd Ingram costume (Evil Ex #3 from Scott Pilgrim)! 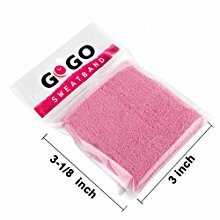 I got it to absorb my sweat while I exercised, but it got too soggy. A towel works better for me. Perfect, EXACTLY what I needed! Very well made. 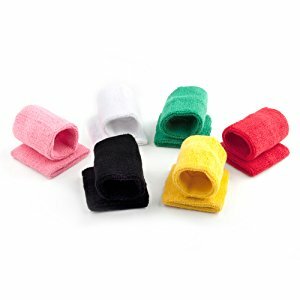 These sweatbands have been washed repeatedly, and they still look brand new!